In the early evening we conducted our final interview of the day with Rick Small, the owner & winemaker for Woodward Canyon Winery. We met him at a Walla Walla wine shop called Vintage Cellars. Rick Small is a man full of energy, as well as good information about the wine industry in Washington State. He is a quick talker with lots of words, so you better listen closely because if you do you will learn a lot. He loves that the focus in Washington State wines are “quality for value.” We found this to be most definitely true throughout the state. We didn’t feel that we could purchase aNapa Valley wine on the same price of a Washington State wine and have the same quality. Again, you get more bang for your buck in Washington State wines. Rick told us that if you go down into a wine maker’s cellar that you can learn much of what to expect from their wine. Is it clean or dirty? Is it organized or scattered? etc. Rick really doesn’t want to see people give up Merlot, just because they don’t have the confidence to order or drink it in front of their friends or family. In general, it is one of the easiest wines to enjoy. 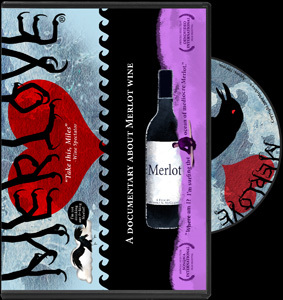 Merlot is much more accessible to drink than a CabernetSauvignon. You don’t necessary have to age it as long, but if you do desire there are many Merlots that will age for some time. There is great acidity in Merlot that pairs well with food too. This evening we had another great meal. This time we ate dinner at Walla Walla restaurant 26brix. We decided to eat casually at their nice bar. Strangely enough we saw Merf’s daughter once again. She was working there. Walla Walla is a small town and seeing one person randomly 3 times in 2 days is a great example of that.